In 1964, Japan became the first country to build and operate a High Speed Rail line. Photo by bass_nroll. While California breaks ground this summer on the United States’ first bullet train and Iraq gets into the game with a planned High Speed Rail (HSR) line from Basra to Baghdad, other nations have a long history of fast, efficient and environmentally friendly rail transportation. The Land of the Rising Sun invented High Speed Rail with the first bullet train, called Shinkansen (new trunk line) opening in 1964. Japan Railways Group now operates 2,664 km (1,655 mi) of tracks with 782 km (486 mi) under construction. The Federal Republic got into the HSR game in 1991 and now features 1,334 km (829 mi) of HSR track in operation with 428 km (266 mi) under construction. DB Bahn’s InterCityExpress trains reach a top speed of 300 km/h (186 mph). China is the newest high speed rail giant. Photo by Taylor McConnell. China has been building high-speed rail at a furious pace since 2007 and now boasts the world’s largest network with 9,356 km (5,813 mi) of HSR track, including the longest line the world from Beijing to Guangzhou at 2,298 km (1,428 mi). The China Railway Corporation has no plans on slowing down, as there are currently 14,160 km (8,799 mi) under construction. Spain runs the biggest HSR network in Europe with 3,100 km (1,926 mi) of track and 1,800 km (1,118 mi) under construction. Spain started HSR service in 1992. 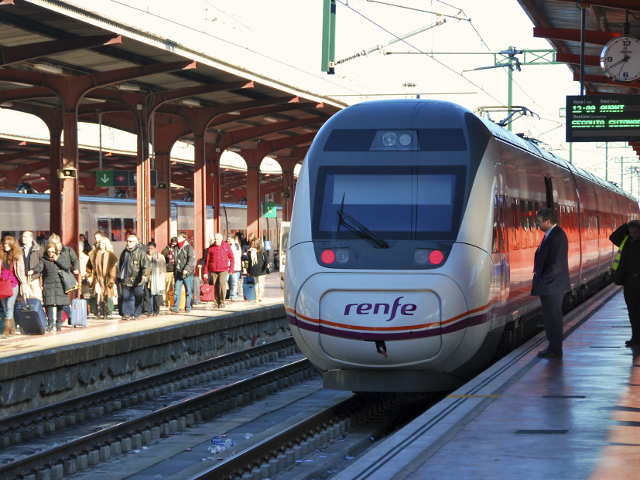 RENFE operates the Alta Velocidad Española (AVE) at speeds up to 310 km/h (193 mph). 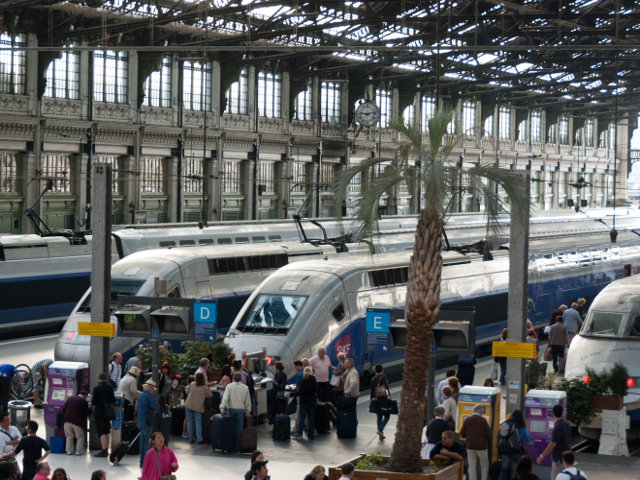 Passengers board high speed trains at Gare de Lyon. Photo by Eric Allix Rogers. France started developing its High Speed Rail network soon after Japan launched theirs in 1964, however the TGV (Train à Grande Vitesse, high-speed train) service didn’t open to the public until 1981. National rail operator SNCF runs the fastest conventional train network in the world, with average top speeds of 320 km/h (200 mph). In April, France launched the low fare HSR service called Ouigo, costing as little as 10 Euros for a trip from Paris to southeastern France. 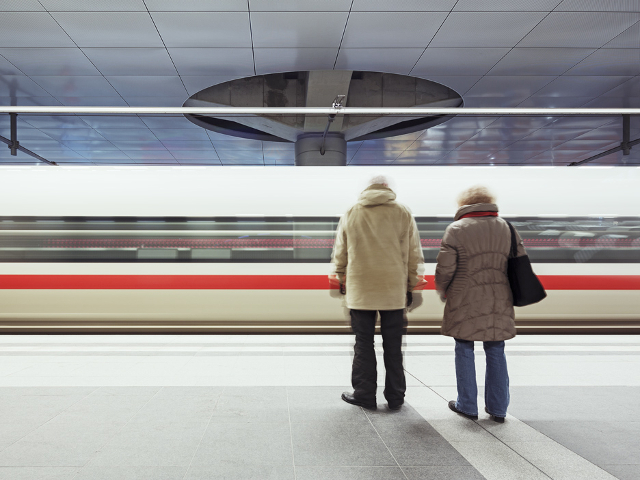 Between the top five high speed rail networks and the next five, there exists a considerable gap. Though other countries have quality HSR services, they are not to the scale of the five HSR giants. Strong supporters of high speed rail, like the President of the U.S. High Speed Rail association, Andy Kunz, argue that high speed rail needs to spread to many more countries, and soon. In an interview with TheCityFix, Mr.Kunz declared, “High speed rail is something that is basic infrastructure, and it’s the most efficient, smartest, best form of transportation ever invented any way you measure it.” Given the advantages of high speed rail, it is no wonder that proponents of the system are calling for it in countries around the globe. Maybe, someday, the United States, Iraq, and other countries which couldn’t make this list will be able to compete with Germany, China, Spain, Japan, and France – the five countries that currently lead the way. 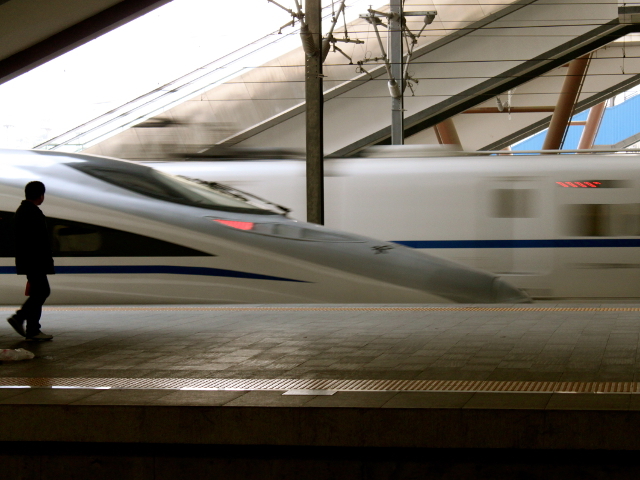 How did high-speed rail transform China’s regional transport sector?